Part instrument, part processor, Vocalizer Pro is the ultimate instrument expansion tool. Offering endless sound-sculpting possibilities, Vocalizer Pro is also a dynamic performance instrument, with two rows of MIDI-mappable pads delivering expressive real-time interaction. With so many sonic possibilities, Vocalizer Pro can be a little overwhelming. Have no fear. 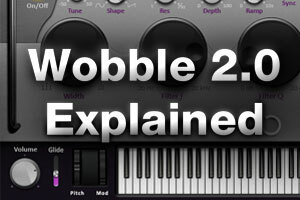 Groove 3 virtual instrument guru Eli Krantzberg is your host for Vocalizer Pro Explained. This in-depth course offers 8 individual chapters. Each one covers the concepts and the controls, so you can quickly master the magic of Vocalizer Pro by SONiVOX. To get things started, Eli will discuss and demonstrate how to set up Vocalizer Pro inside of your DAW. In addition to the theory and benefits of formant control processing, this course also contains an enhanced exploration of spectral synthesis. As Eli reveals the serious potential of Vocalizer Pro, you’ll learn how to work with presets, how to perform massive real-time timbre changes, and how to play the pads for all they’re worth. 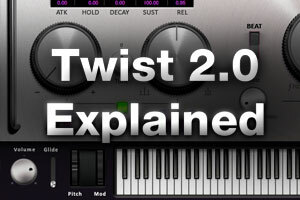 The series closes with an overview of the onboard effects. Vocalizer Pro is a totally unique MIDI controlled effect processor that is unlike anything you’ve ever heard. 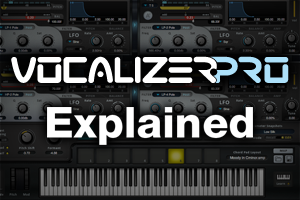 Join Eli today in Vocalizer Pro Explained from Groove 3 as he demonstrates the potential of this outstanding synth.